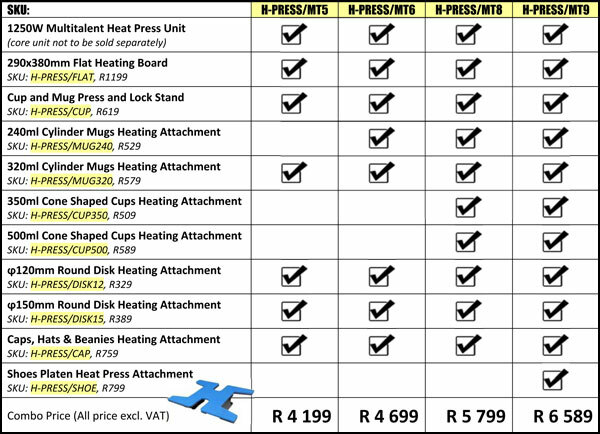 We stock heat presses at our Jet Park (Johannesburg) Branch, and our Montague Gardens (Cape Town) Branch. We also stock spare parts and each individual attachments. For heat press consumables, like Thermal Tape, Sublimation Paper, Teflon Paper etc. Please reply me for a quote. 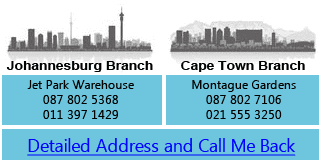 If you need we deliver to you, we do deliver the heat press through FastWay Couriers to you and cost R299 nationwide. Copyright © 2018 Bates Digital (Pty) Ltd (2012/080185/07). All rights reserved. 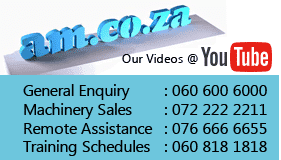 Postage/COZA Email Templates are developed by Bates Digital (Pty) Ltd. The domain name Postage.co.za is the property of Bates Trust IT003077/2015(G), and its exclusive use is licensed to Bates Digital (Pty) Ltd. All other materials contained on this website and all associated websites, including text, graphics, icons, still and moving images, sound recordings, musical compositions, audio-visual works and software, are the property of Bates Digital (Pty) Ltd or its content suppliers or service providers and are protected by South African and international copyright laws. All trademarks, service marks, trade names, trade dress, product names and logos appearing on the site are the property of their respective owners.